This medical malpractice claim was filed in Allegany County after a woman suffered kidney disease and partial hand and foot amputations due to an improperly managed urinary tract infection. It was filed in Health Claims Arbitration on February 28, 2018, and it is the 102nd medical malpractice case filed in Maryland this year. A 45-year-old woman presented to MedExpress Urgent Care with complaints of left flank pain, left-sided abdominal pain, and nausea. After incorrectly reading the woman's abdominal x-ray, a physician's assistant diagnosed her with kidney stones. Two days later, the woman went to the emergency department at Western Maryland Health System with continuing complaints of abdominal and flank pain. The woman was also experiencing chills and had a burning sensation with urination, the classic signs of a urinary tract infection with bacteremia. A CT scan confirmed that she did not have kidney stones, but instead revealed a slightly enlarged kidney with evidence of bacteria. A urinalysis showed blood in the urine, bloodwork showed elevated glucose and white blood cell count, and she was found to have a rapid heart rate. Plaintiff alleges all of this evidence suggests the woman was suffering from sepsis due to a kidney infection. Instead of providing her with an appropriate antibiotic treatment, the woman's physicians discharged her with a diagnosis of "flank pain, uncertain cause." Approximately 26 hours later, the woman returned to the emergency room. She was lethargic, weak, short of breath, and slow to answer questions. The woman's vital signs and blood work indicated that she might be in shock, and yet, a doctor started her on a blood pressure support medication (Levophed). Unfortunately, the medication can put patients with a decreased blood volume at risk for necrosis and amputation of extremities. The woman remained on Levophed for ten days, until she began developing blackish discoloration on her hands and feet. While in the hospital, the woman also suffered two heart attacks due to fluid overload and was on dialysis due to kidney failure. Over the next few months, the woman was in and out of Johns Hopkins Hospitals for various surgical procedures including kidney surgery, partial hand and feet amputations, and a thigh graft surgery. Reading the narrative of the case, you would expect that the negligence would be failure to perform a urinalysis and urine culture to test for the a urinary tract infection. Instead , the negligence appears to be failing to act on the test results and clinical symptoms of a UTI progressing toward sepsis. The plaintiff appears to have developed sepsis that required these amputations as the result of bacteria that entered her body from the UTI. When UTI is left untreated, the bacteria will multiply exponentially at an increasing rate. So the bacteria that originates in the bladder multiplies many times over and then crosses into the blood and progressed to sepsis. The key to stopping this path is early diagnosis and treatment. The solution to the problem is often very simple. The patient is prescribed antibiotic therapy and fluid. .Plaintiff's expert will likely allege that the administration of Cipro, Levaquin, or Bactrim would have averted this tragedy. Failing to appropriately interpret abdominal x-rays. Failing to perform an appropriate physical exam. Failing to consider a urinary tract infection and kidney infection diagnosis. Failing to prescribe the appropriate outpatient antibiotics. Failing to diagnose and treat the claimant's septic state. Failing to understand the significance of an elevated white blood cell count, bandemia, platelet count, and CT scan. Failing to perform a lactate, repeat blood studies, blood gases, and blood cultures. Failing to initiate continuous monitoring, IV antibiotics, central lines, CVP pressure monitoring, and appropriate fluid resuscitation. Failing to appropriately manage septic shock. Failing to recognize the danger of instituting vasopressor therapy. As a direct result of the defendants' negligence, the claimant suffered painful, permanent, and disfiguring injuries, sustained severe mental anguish, and incurred myriad financial losses and medical expenses. View sample verdicts and settlements from Allegany County. 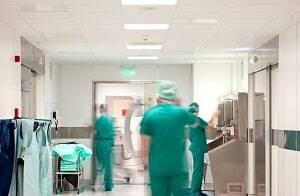 Read more about hospital malpractice and misdiagnosis lawsuits.